A wardrobe essential crafted with the technical expertise Moncler has gained on the fields of sporting competitions. 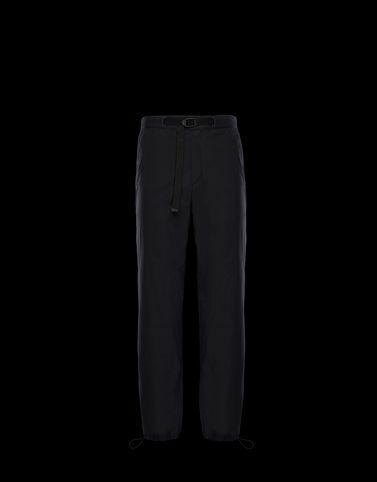 Cotton gabardine trousers ideal for running around the city, perfectly paired with a sweatshirt or a denim shirt for a more underground feel. Wash max 30°C - Mild process; Do not bleach; Do not tumble dry; Ironing maximum temperature 110°C - without steam; Do not dry clean; Professional wet cleaning - mild process; Dry flat; Wash separately; Do not iron decorations; Protect trims during washing; It is advisable to wash and iron the garment on reverse.